At Pattersons Workwear we stock a large range of workman gloves that are ideal for construction, street cleaning/refuse collection and the fishing industry. These tough gloves will protect your hands from cuts, scrapes and splinters during manual labour and they are available in various sizes and styles to ensure that you find the perfect fit. 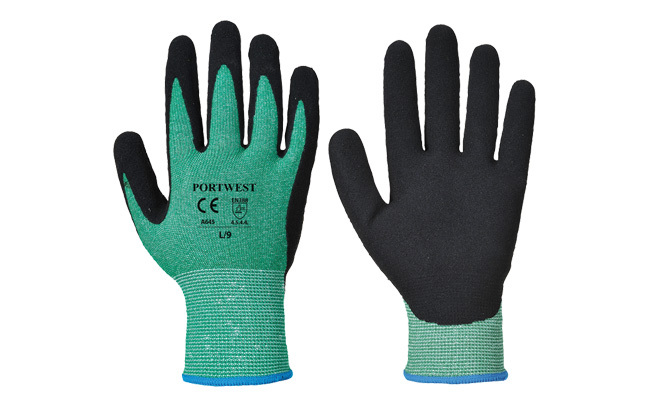 This extensive range also includes special hazard gloves, which are hardwearing gloves that can be used for a multitude of work tasks, including warehousing, transport and haulage, light engineering, maintenance, cables and pipework, construction (dry and wet trades), sheet metalwork, automotive, engineering, glass handling, telecommunications. No matter what type of workman gloves you’re looking for, we can find a match for you at Pattersons Workwear. This extensive range of gloves is just part of our work safety gloves range that we stock. To help you find all the industrial workwear you could need, we also stock a large range of clothing and PPE. If you have any questions, or need any guidance about which workman gloves you need from this range you need, please contact our customer services department on 0117 934 1270, or email us any queries to web@pattersons.co.uk.